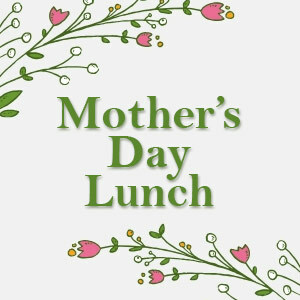 Join us for a Mother’s Day to remember at the stunning Grade II listed Bawtry Hall. Arrive to a Kir Royale & smoked salmon blinis, and be welcomed by the talented Jessica Mary Brett – an awarding winning vocalist! 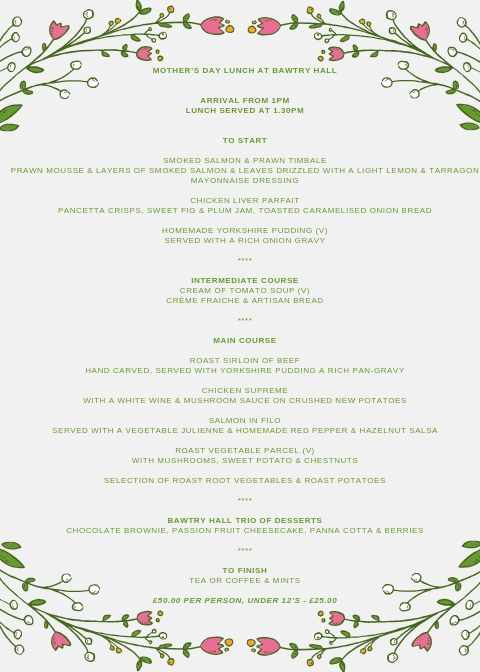 Arrival from 1pm with lunch served at 1.30pm. £50 per person, under 12’s – £25.00.